New York City is one of the most exciting cities in the world (after London of course) and while it absolutely deserves its reputation as the city that never sleeps, it’s still a worthwhile place to visit with the kids. Free and/or reasonably priced exhibitions, classes, workshops, performances, and festivals designed to address the multiple ways children learn and to help parents understand and support their children’s development. You’ll get to walk through vintage subway cars and see the different tokens used to enter the subway. Workshops include transit-themed puzzles, books, toys, and building materials. Older kids will enjoy taking control of a NYC Subway car and operating it over virtual miles of track. Not too dissimilar to our own Science Museum, their mission is to nurture generations of passionate learners and critical thinkers via workshops, exhibitions and talks for kids age 0 to 18. Free to use and not so busy at the weekends, the ferry offers fabulous views of the Statue of Liberty and the New York Harbour and at under 30 minutes, not so long your kids will get bored. Those in the know, know Brooklyn is where it’s at and the Museum was the first to be created especially for children. Programmes for kids involve art, sculpture, literacy and sensory exploration while older kids/teens will enjoy printmaking and graphic design workshops. Visit (6) Bronx Zoo, (7) Central Park Zoo, (8) NY Aquarium, (9) Prospect Park Zoo or (10) Queens Zoo. Check their website for discount codes and reduced entry. Worth a visit for the Jim Henson exhibit alone where you can school your kids on the delight that was Sesame Street. Puppets on show include Kermit the Frog, Miss Piggy, Big Bird and Elmo. An art museum designed especially for children? Yes, please. Make time to visit their contemporary art exhibitions and hands-on art-making studios for children age 10 months to 15 years. If your kid likes heights, visit the Observatory and ride some of the fastest lifts/elevators in the world. Kids are encouraged to manipulate their environment and create a play space of their own with sand, water and loose parts. They’ll be able to burn off some of their boundless energy with giant foam blocks, mats, wagons, fabric, and crates which they’re actually encouraged to knock down/mess around with! 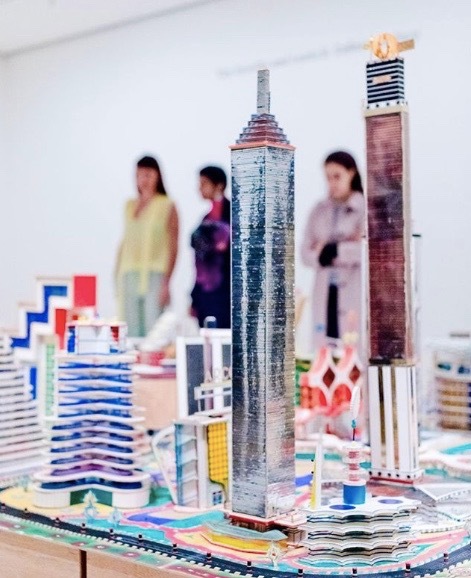 An amazing immersive world of miniatures covering 50,000 square feet where you can explore 25 cities from five continents. With a functioning airport and naval locks, there are hundreds of hidden scenes and interactive elements scattered throughout the miniature world. New York City's first and only full-time performing arts theatre for kids and their families. They also have autism-friendly performances with softer lighting and warnings for loud noises. More than the place Big and Carrie didn’t get married, this (deservedly) world famous institution has regular large-scale events, storytelling, musical and theatrical performances, spoken word performances, and guest appearances by authors and illustrators. Plenty of hands-on exhibits helping kids see how science, technology, engineering and maths are part of the fabric of their everyday lives. Worth it even if all you do is ride a square-wheeled tricycle (yes, really!). When they’ve had enough city and need a little space to run around and let off some steam, Chelsea Waterside Park has plenty on offer for them to play, explore and learn. In the summer there are films and fishing clinics on offer. Get their hands dirty and stuck in to science and nature at the famous Botanical garden. Enjoy hands-on science activities and experiments, getting lost (and found hopefully!) in the maze and inventing their own plant at Plant Paradise. A fabulous space where children and their families can learn about the world at large, through intergenerational dialogue with artists, art and storytelling. The space has been designed to nurture the curiosity and creative spirit of kids age 3 to 8. Enjoy a slice of old-timey Americana; if you visit in September as there’s corn husking and pie-eating contests, pig races, hayrides and livestock competitions. At other times of the year kids can visit cattle, sheep, goats, pigs and hens. Perfect for fans of Wii or Nintendo games, this interactive shop (and remember, it’s a shop) displays every console and character ever created and life-size costumed Mario or Pikachu make photo-op visits. It’s a shop so there’s no charge to get in but we’re pretty sure you’ll end up buying something! 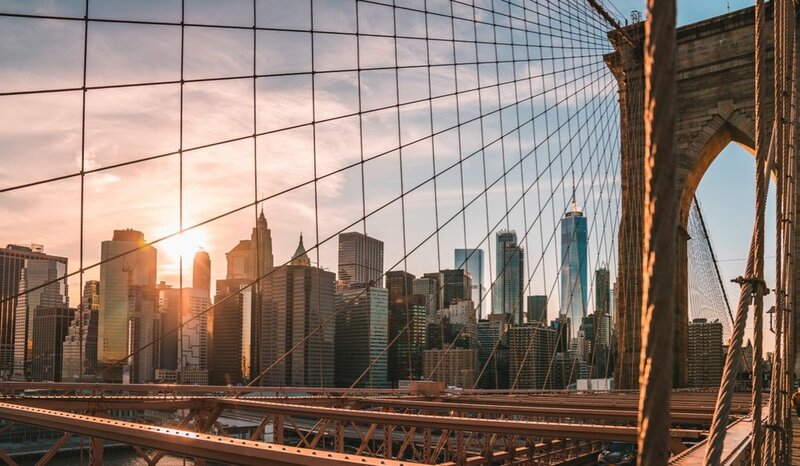 Showcasing notable NYC attractions including the Empire State Building, Brooklyn Bridge and Wall Street, a guided tour is a great way to take in stunning views and learn your way around. The guides will deliver facts on each landmark, along with important information about the city. You can alight at most of the landmarks along the way and pick up the tour again on a later hop-on hop-off bus, as a ticket lasts for a full day. Yes it’s crazy (hold the kids’ hands tight!) but it’s a must-see tourist destination and thankfully, not a place you need to visit more than once. Surrounded by large LED screens, bright billboards and colourful shop fronts, the intersection perfectly captures the hustle and bustle of the city. It’s a great place to pick up tacky souvenirs, with a range of designer brands, high street shops and boutiques lining the square. Home to a variety of permanent and limited exhibits, the Intrepid Sea Air & Space Museum has curated an incredible collection of artefacts, authentic photographs and exclusive accounts that showcase the incredible history of American military craft. Highlights include the missile submarine Growler and the Space Shuttle Pavilion exhibit, featuring the prototype NASA orbiter Enterprise. Take a short rest on this relaxing cruise and enjoy panoramic views of the New York city skyline while taking in fun facts from the informative tour guides. Landmarks on offer include the Statue of Liberty, Battery Park, Brooklyn Bridge, the Empire State Building and the United Nations. If you need to escape the bad weather, you can spend the afternoon soaking in some culture at the Metropolitan Museum of Art. The MET is one of the world’s largest art museums and is home to a wide variety of masterpieces, with exhibits ranging from renowned painters to contemporary sculptors. Kids can explore an Egyptian temple or take part in interactive art-making and gallery classes. If the weather is on your side, a picturesque bike ride through Central Park is a great way to take in this beautiful landmark. Highlights of the 843-acre space include the Cherry Hill fountain, Strawberry Fields, Belvedere Castle, the outdoor Delacorte Theatre and Shakespeare Garden. Kids will also love the carousel, marionette theatre and zoo. A firm favourite among adults and children, the American Museum of Natural History is a treasure trove of historic artefacts, natural wonders and interactive exhibits spanning through the ages. Travel back in time with the comprehensive collection of prehistoric fossils, take in the dazzling Hall of Gems and learn about complex aquatic environments in the Milstein Hall of Ocean Life. You can’t cover it all in a day so do your research in advance and decide which exhibits you want to visit. 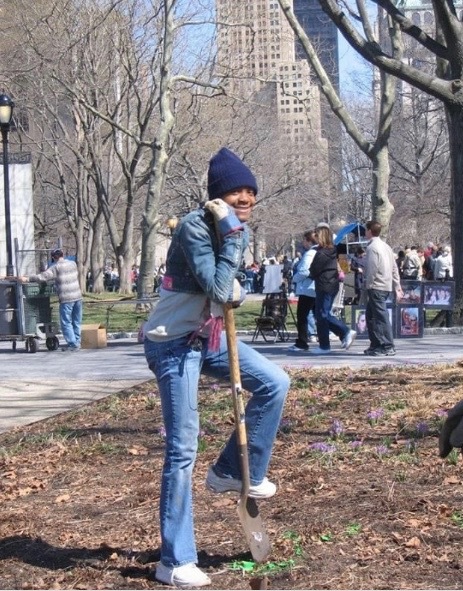 You’re sure to work up an appetite while exploring NYC, and a Food on Foot Tour is the perfect way to continue sightseeing while indulging in the city’s incredible culinary culture. Sample authentic local cuisine as you make your way across the city, from celebrity chef restaurants to ethnic eateries and rustic picnics, these guided tours are how to get a real taste of New York. You can’t visit NYC without a trip to the most famous skyscraper in the world - the Empire State Building. For the best views of the Big Apple and once-in-a-lifetime photo opportunities, head to the 86th floor of this historically significant structure and take in the unobstructed city skyline. Constructed on a historic elevated rail line above the streets of Manhattan, the breath-taking High Line park is a hidden gem in the city. 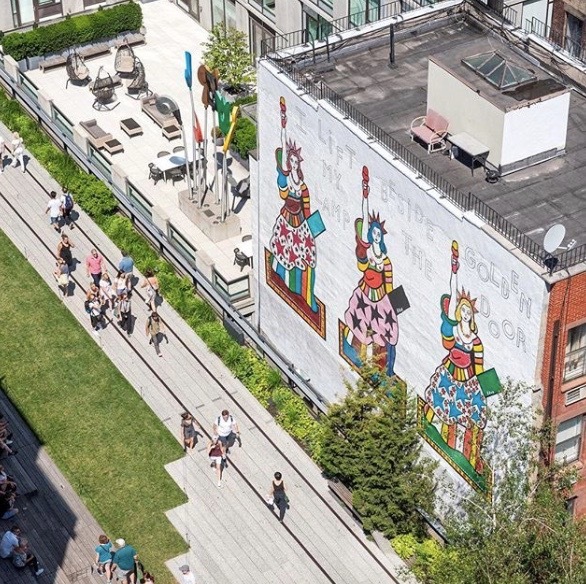 Visitors can wander down the entire 1.45 mile line spanning from the Meatpacking District to West 34th Street, or jump off at one of the designated descent points that are distributed along the track. Make sure you check out the Pershing Square Beams, specially designed for climbing. On Saturdays there are special Family Festivals (with printable family guides) worth checking out. Take in amazing aerial views of NYC from the Top of the Rock Observatory. With three floors of indoor and outdoor observation decks allowing you to reach new heights, highlights include the Chrysler Building, the Empire State Building, the Freedom Tower and Central Park. The Museum of Modern Art is one of the best creative spaces in the US, celebrating inclusivity, self-expression and diversity. The contemporary open building houses significant paintings, sculptures, drawings and photographs from world-famous artists, including Monet, Warhol, Picasso and Pollock. Spend an afternoon exploring the bustling neighbourhoods of Little Italy and Chinatown, situated just a few blocks apart along Mulberry Street. Treat yourself to some tasty souvenirs from the 120-year-old cheese shop in Little Italy, before bringing the evening to a close with al fresco dining at Lombardi, the country’s first pizzeria. A trip to New York wouldn’t be complete without a visit to two of NYC’s most famous attractions - the Statue of Liberty and Ellis Island. 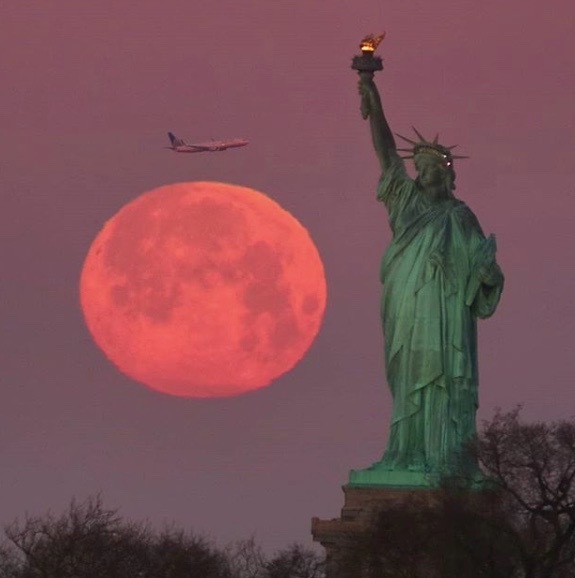 Visitors can tour the grounds of Liberty Island before accessing exclusive areas of the colossal copper structure, including the Pedestal and Crown. Take the children’s audio tour (kids age six to ten) in the lobby of the Statue of Liberty’s pedestal, and then kids four feet or taller can climb to the top of the statue’s crown. Located on a separate island just a stone’s throw away, the Ellis Island Immigration Museum documents the moving American heritage of the immigrants who travelled to New York in the early twentieth century. Highlights include the World Migration Globe and the American Immigrant Wall of Honour. 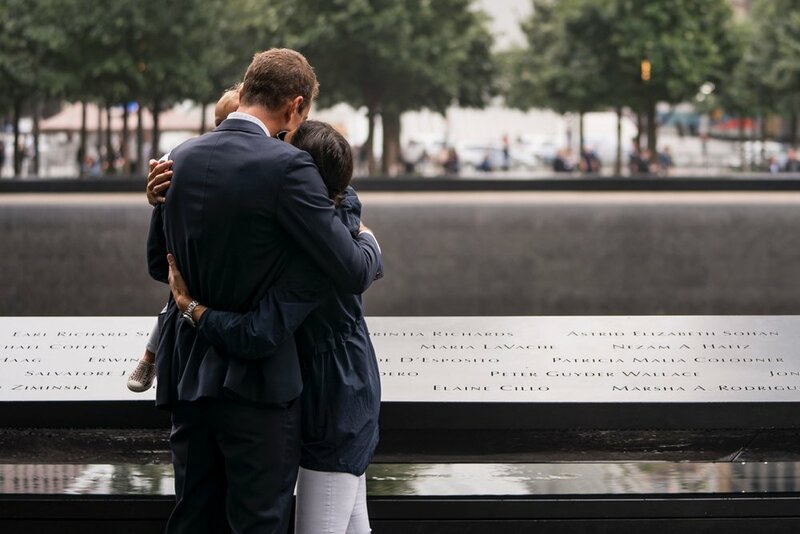 The 9/11 Memorial and Museum serves as a poignant reminder of lives lost during the tragic events of 11 September 2001 and is a great conversation starter for older kids. As one of the most emotive attractions in NYC, the museum houses several commemorative exhibitions featuring authentic artefacts, first-person accounts and spaces for reflection. Travel to the Southernmost point of Manhattan to take in the idyllic waterfront views and attractions in Battery Park. Highlights include the Museum of Jewish Heritage, the Skyscraper Museum and the various public art installations dotted around the park. 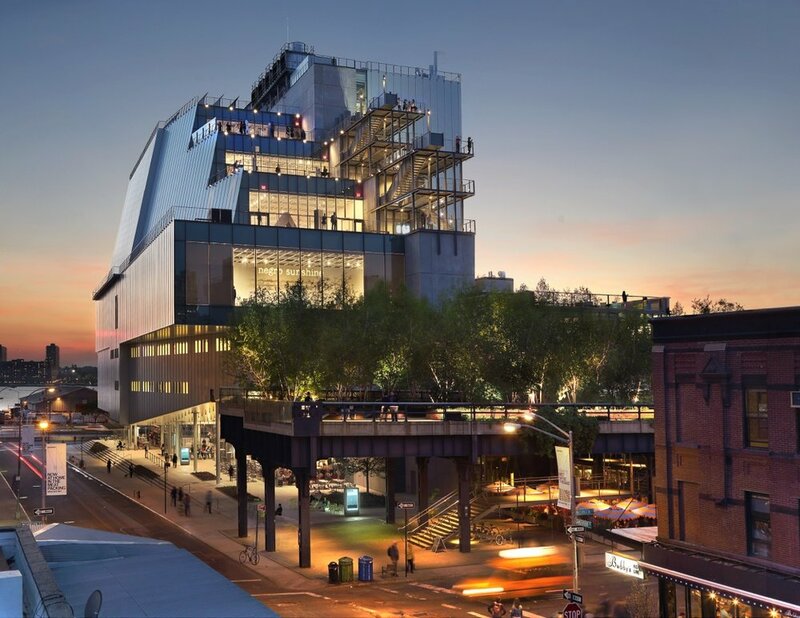 This innovative museum plays an essential role in New York’s art scene, with never-before-seen exhibitions celebrating artwork from established and upcoming artwork alike. The extensive collections cover everything from twentieth-century portraits to sculptures made just this year. Another landmark that can’t be missed is the Brooklyn Bridge. Walk the impressive suspended structure that links Manhattan and Brooklyn, then learn about the nearby DUMBO neighbourhood with the help of insightful tour guides. To get a real feel for the city, spend an afternoon browsing through the independent boutiques, art galleries and high-end restaurants in Brooklyn. Lots of the attractions and excursions featured are covered by the official New York Pass, which offers savings of up to 50% on top activities around NY. For more info visit newyorkpass.com. Where’s your favourite place to take the kids in New York?